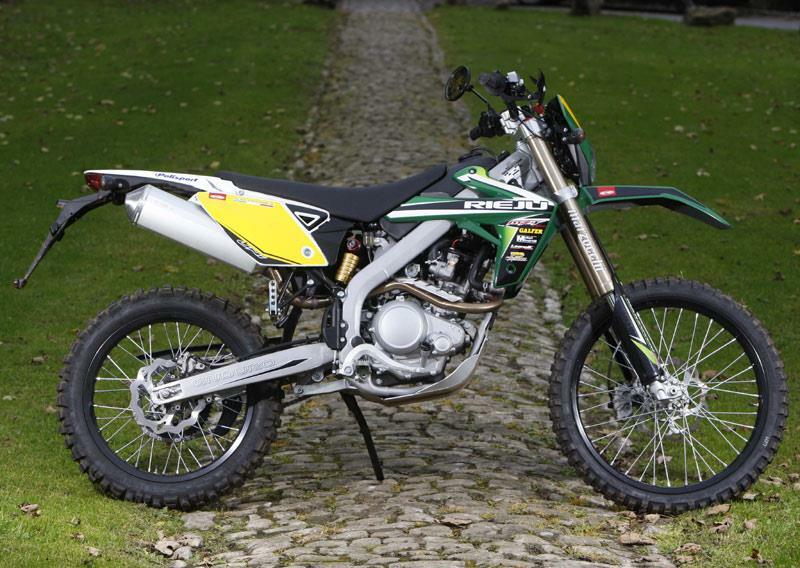 If you’re on a restricted 33bhp licence and like playing in the mud, Spanish firm Rieju have got just the bike for you: the MRT200 LC Pro Comp. 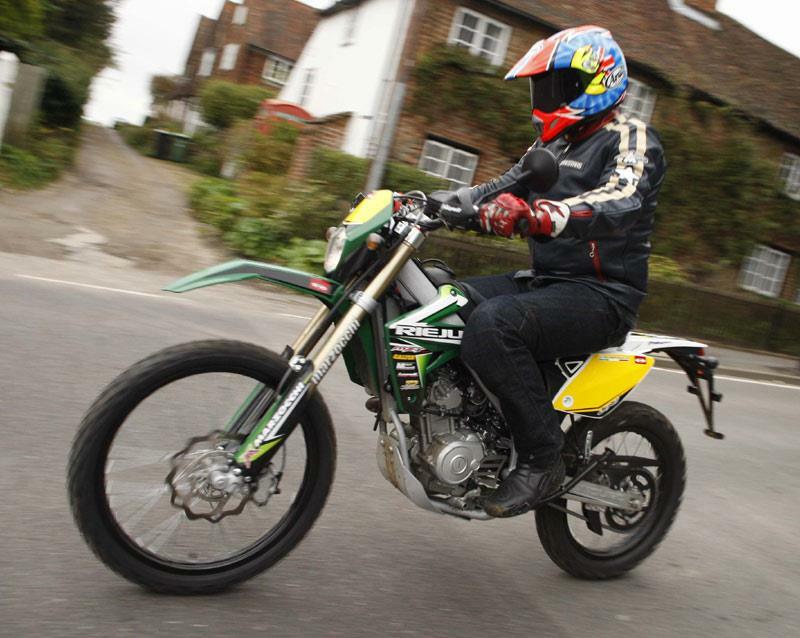 This is a proper, road-legal enduro machine with a high-level chassis spec and powered by a Yamaha engine. It’s a bored-out 19bhp, 183cc version of the single-cylinder, liquid-cooled Yamaha YZF-R125. With its steel beam frame, aluminium black-rimmed spoked wheels and ‘factory’ sponsor stickers the Rieju looks the part. There are loads of nice performance touches too, like the 40mm upside down Marzocchi forks, fully-adjustable rear shock, Galfer wave discs front and rear, Italian Domino handlebar grips, hand guards and an electric start. It also has pillion pegs, but rather you than me on the back of that razor thin and rock-hard seat. Overall, the MRT200LC Comp is a capable and above all fun road bike, but it’s even more impressive off road, as our resident off-road tester, TT and BSB rider, Steve Mercer told us when we handed over the reigns to him to play in the mud. 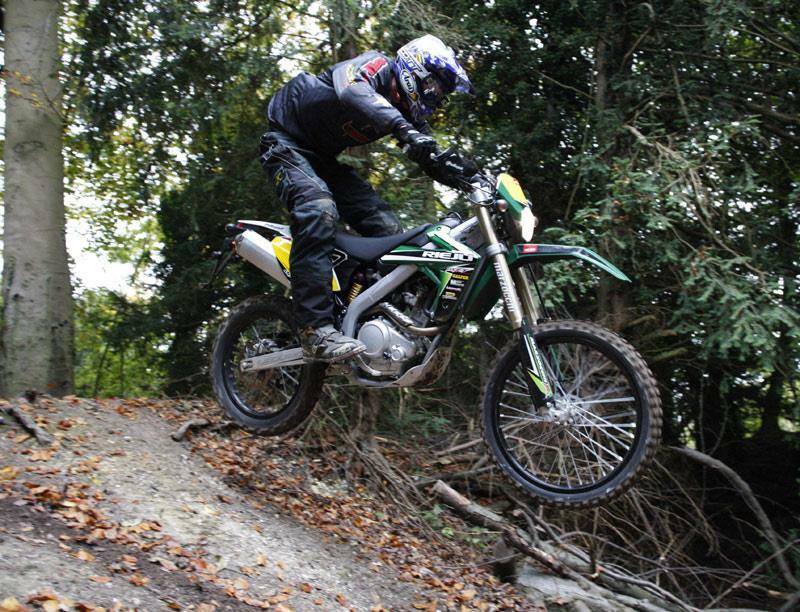 Look out for the full on and off-road test in MCN soon.